CircleMe has had the privilege of visiting different cities during these past months. Not only we’ve been in London and Milan (where we have offices) but also in Paris and Rome with our users, and participated in events in different places such as Venice, Rzeszow or Vienna amongst others. This time, we’re really exicted to travel where Europe meets Asia. That’s right: We’ll be travelling to Istambul! How come? 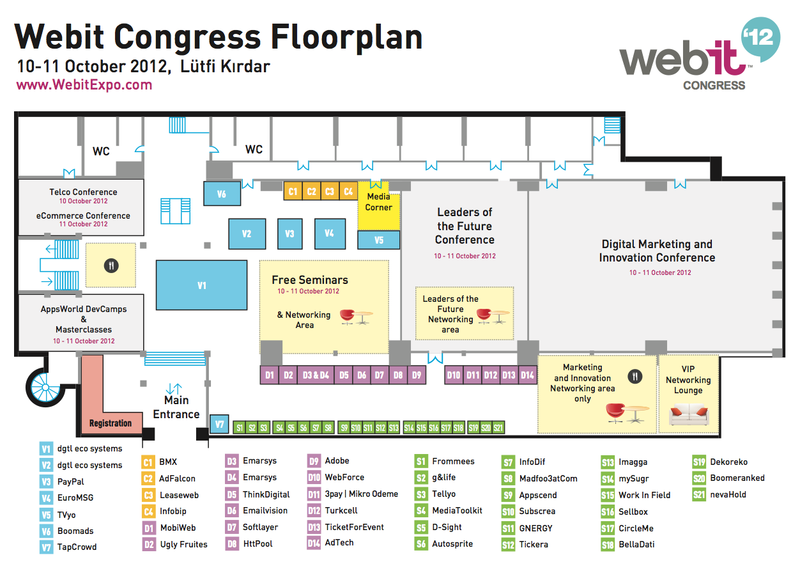 We’re attending the WebIT Expo 2012 on the 10th and 11th of October as CircleMe will be one of the 21 finalists (out of 503 participants!) at the WebIT startup challenge. We’re really excited about this as WebIT is one of the most important events of the kind in Europe, and puts us amongst the most innovative startups in Europe. However, that’s not just it! We will also be exhibiting, so if you are attending the conference, do not hestitate to pop by and say hi 🙂 Our CEO Giuseppe D’Antonio would love to meet you! We will be in S17 as you can see below. If you are thinking of coming, we would like to remind you that WebIT is not a free event and that the price on site will be 30 Euros. ← Vote on posts, now straight from your Activity Page!